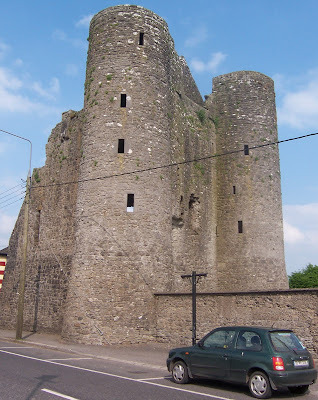 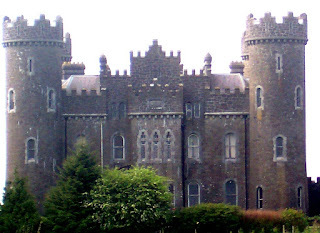 Clonyn Castle, the second Nugent Castle built 1639 is now a private residence and the recent development of an estate now blocks the view from the east side of the castle. 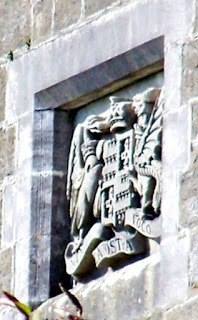 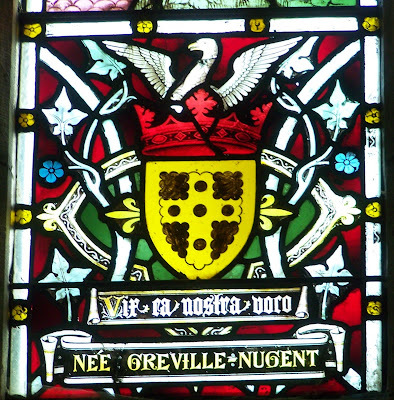 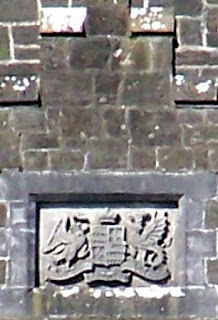 You'll see two photographs of the Greville-Nugent quartered arms, along with supporters, coronet for a Baron and motto. 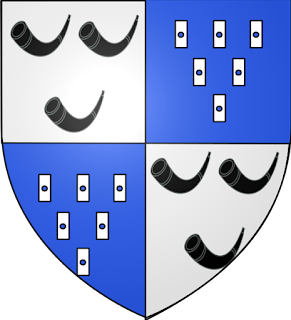 William Fulke Greville, second son of Fulke Greville of Wiltshire, and grandson of the 5th Baron Brooke. He married Meliora, daughter of Hon. 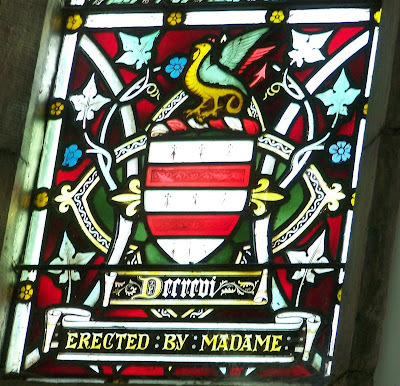 and Revd. Richard Southwell. In 1840 William F. Greville's grandson, Fulke Southwell Greville, created 1st Lord Greville in 1869, married the only child of George Thomas John Nugent, 8th Earl of Westmeath. He assumed the surname Greville-Nugent in 1866. 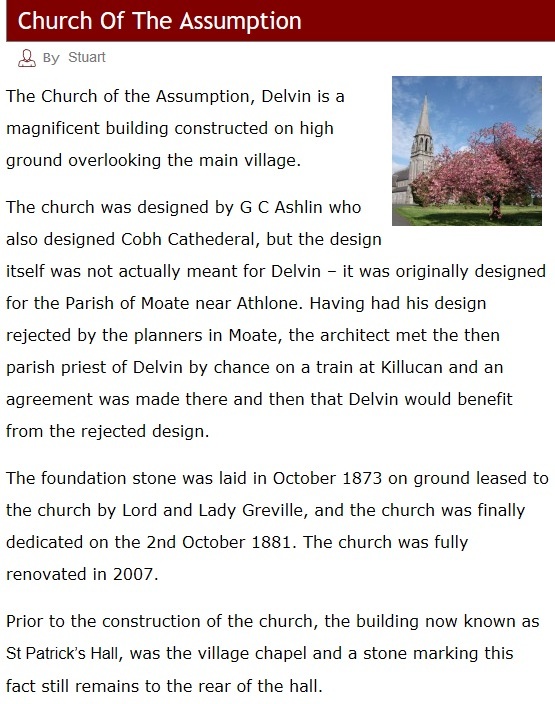 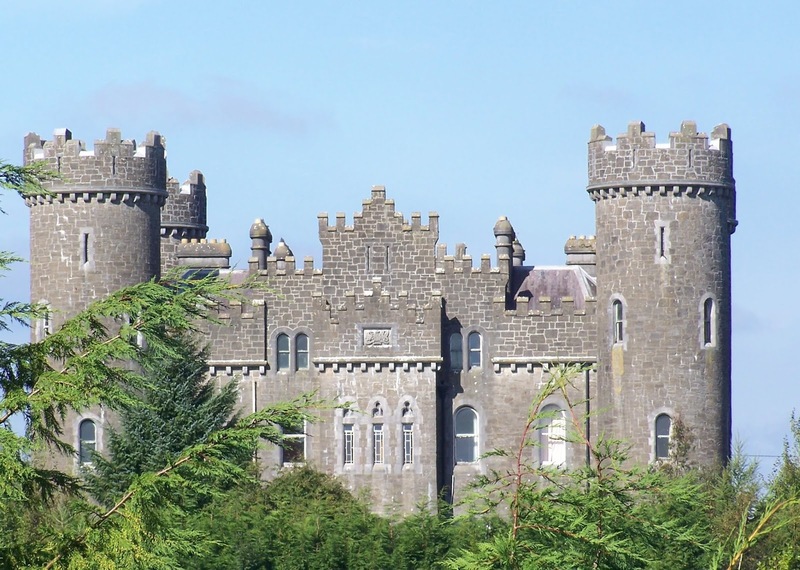 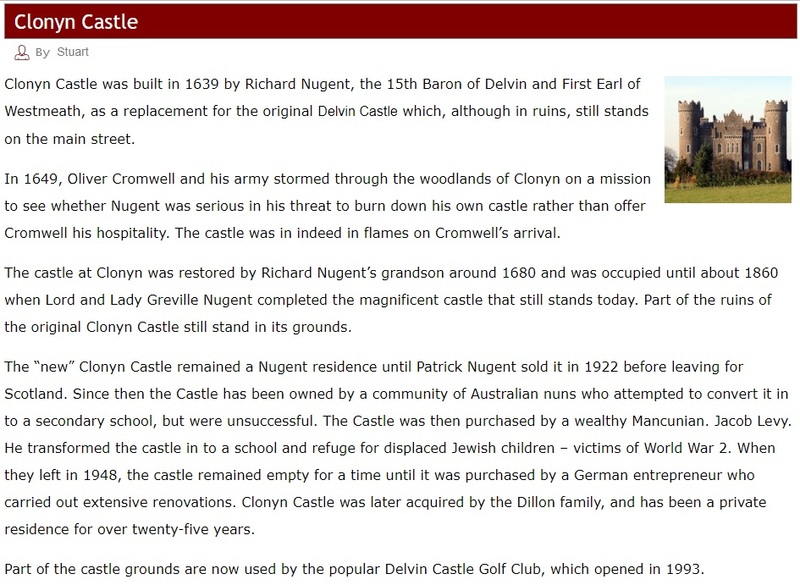 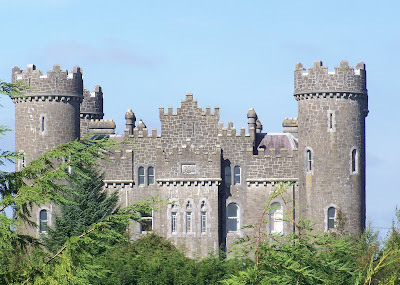 Lord Greville's main estate was at Clonyn Castle, near Delvin where he owned nearly 10,000 acres as well as over 1,900 acres in county Cavan. 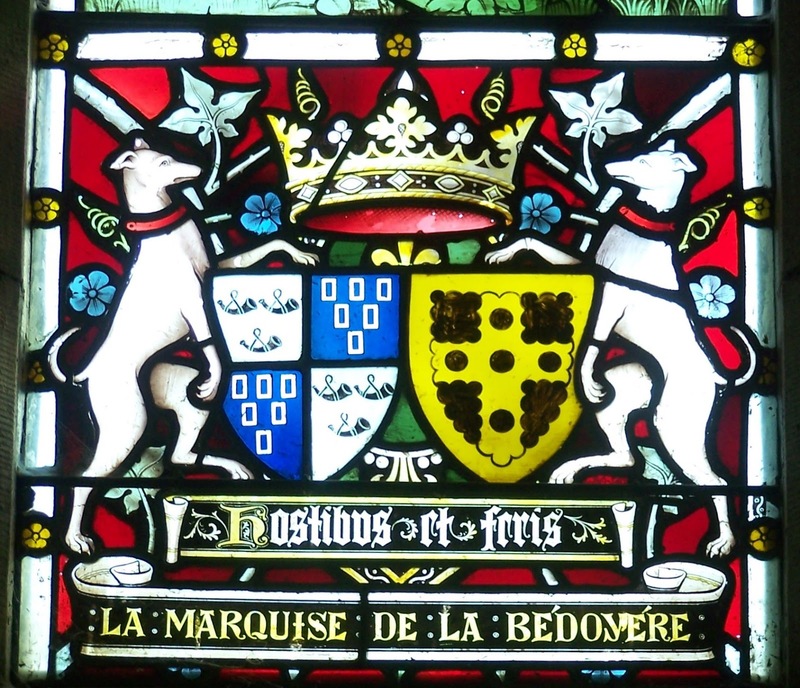 Madame La Marquise de la Bedoyere was Mildred Charlotte Greville-Nugent (1850-1906) and she married LOuis Marie Alexis Huchet de la Bedoyere. 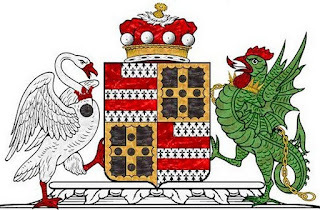 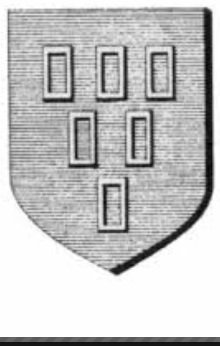 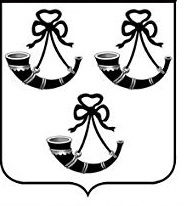 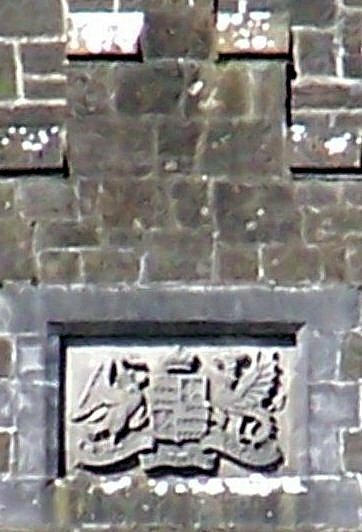 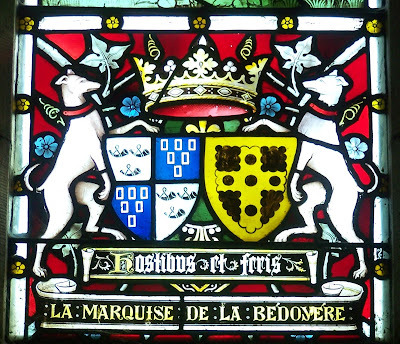 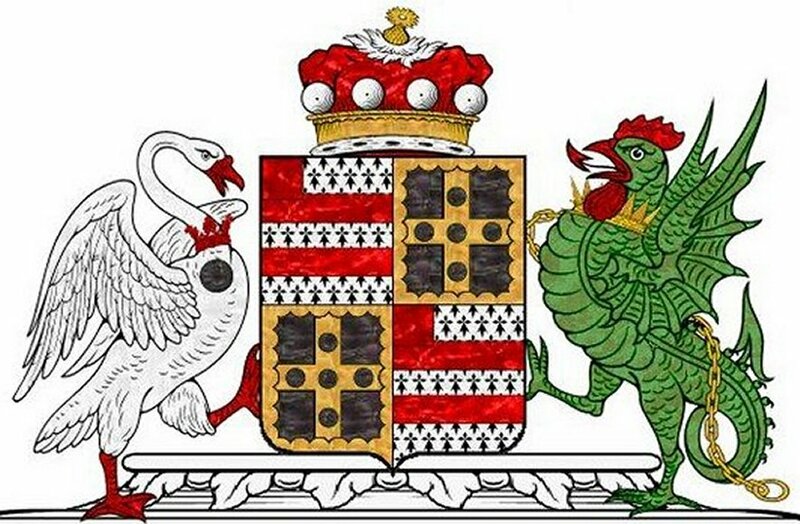 As you'll also see below the quartered Huchet and de la Bedoyere arms came from the fifteenth century marriage of Bertrand Huchet and Jeanne de la Bedoyere and this marriage is represented at Delvin.